V8 Baby Q2s are replacement coils for the SMOK TFV8 Baby Beast and TFV8 Big Baby Beast. The dual core of the V8 Baby Q2 coil heads bring a deep and rich cloud taste to your vaping experience. The younger siblings of the big boy TFV8 Cloud Beast Coils, each member of the TFV8 Baby Beast family packs the same punch, with an explosion of intense flavor and balloon like clouds, the V8 Baby Q2s just compact this into tiny form. Go as small as you need with the TFV8 Baby Beast range, because the quality of build and ease of use will never be compromised. Coils come 5 to a package. Note: Will not fit the full sized TFV8, only the TFV8 Baby Beast and Big Baby Beast. V8 Baby-X4s are replacement coils for the SMOK TFV8 Baby Beast and TFV8 Big Baby Beast. These baby coils are redesigned to offer the same fantastic flavor, and vapor production as the larger TFV8. The V8-X4’s feature a double barrel, quadruple coil setup. Delivering just as much power as the original TFV8 coils, these baby coils pull out all the stops with a smaller set up, ideal for being kept in pockets, bags or purses so that you have one wherever you go. Puff away like the caterpillar from Alice in Wonderland, producing round, fully bloomed clouds and intensity of flavor from a finely tuned vape product - a beast in mini packaging. The SMOK V8 Baby-T6 coil heads for the TFV8 Baby Beast and TFV8 Big Baby Beast. Don't be fooled by the title of "baby" because these coils pack a punch! The V8 Baby-T6 coils, engineered with vapor production and flavor in mind, feature a triple-barrel sextuple coil design, meaning a smoother airflow, warmer vape, and massive clouds. With a recommended wattage of 70-90 watts, these coils are the perfect companion to any Smok Kit with a TFV8 Baby Beast or TFV8 Big Baby Beast tank, like the Smok Alien Kit or Smok Procolor. Note: Will fit the TFV8 Baby Beast and TFV8 Big Baby Beast, will not fit the TFV8 Cloud Beast. V8 Baby-M2 coils from Smok are designed for 3.7V Direct Output devices like the Smok Priv V8 and are compatible with the TFV8 Baby Beast and TFV8 Big Baby Beast Tank. Looking for smooth flavor and a cooler vaping experience? The 0.25 ohm coils will leave you in vaping bliss. More of a cloud chaser? Then look no further than the 0.15 ohm coils. With the TFV8 Baby Beast SMOK introduces a smaller version of the original TFV8. 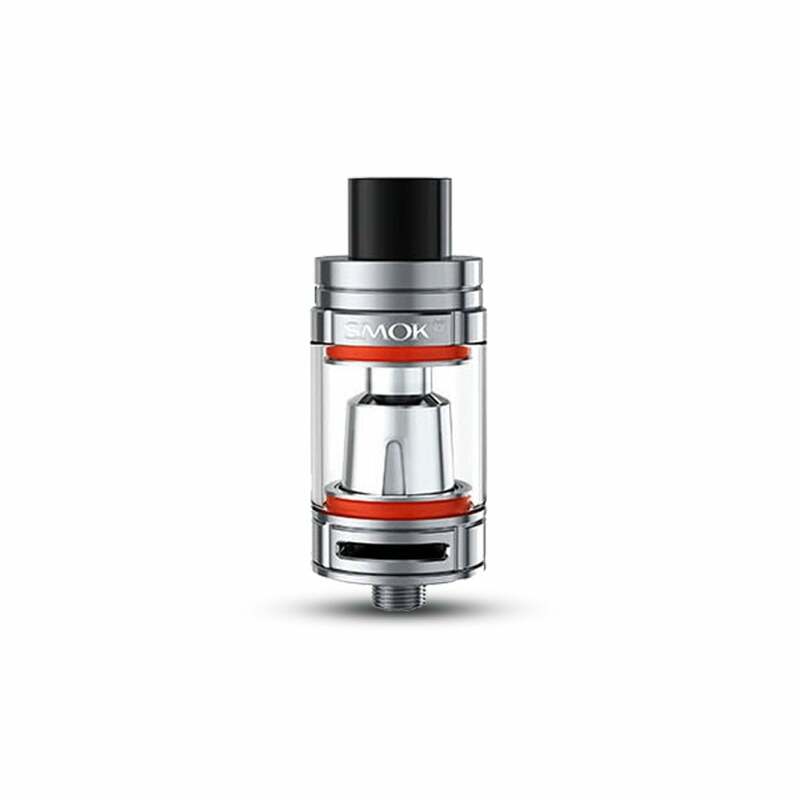 Baby Beast is a smaller 22mm in diamater and has a smaller 3.0ml capacity tank, for a more compact tank. TFV8 Baby Beast atomizer heads are designed for flavor and maximum vapor production, and feature dual, octuple, sextuple, and quadruple coil options. The TFV8 Baby Beast has an excellent airflow system that features an adjustable bottom pair of air slots and large air chamber for increased airflow efficiency, allowing you to adjust airflow to your personal preference. Condensing all the great features of the original, bigger Smok TFV8 vape tank into a compact, stylishly small form, the TFV8 Baby Beast tank uses a top fill system for ease of use, producing big clouds and great tasting flavor.